The General Data Protection Regulation or GDPR may not be a tech giant’s best friend but for Ann Mettler, head of the European Commission in-house think thank (European Political Strategy Centre), the new laws put the continent at the forefront in the battle against data theft and disinformation. 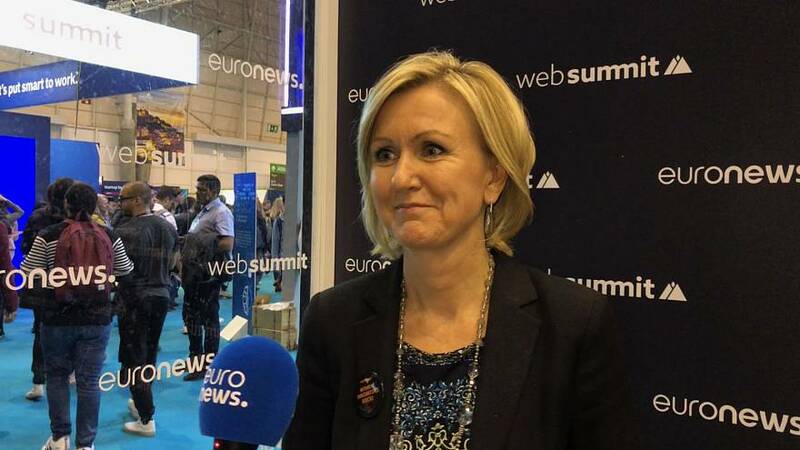 Mettler told Euronews at the 2019 Web Summit that data protection was necessary because of how much user data “had been abused” in the last couple of years with the rise of disinformation. Mettler said that the European Union has already started fighting the spread of fake news in the next European Parliament elections coming May 2019. “We need to be aware of election meddling and Europe needs to be better prepared. It is important to protect the integrity of our elections,” she said. According to Mettler,the Commission would be working in setting up a code of practice for digital companies that calls for more transparency in political ads. At a panel on disinformation, Mettler called out former White House adviser, Steve Bannon, for "setting up shop in Brussels to rally all populists in Europe". "Do you think he's doing it with European money?," Mettler asked the crowd. "I doubt it." “We need to know who is paying for what and with which intentions,” she told Euronews. Mettler also mentioned that the EU was already working with social media giants to stop the spread of fake news and would be employing a team of third-party fact-checkers to verify information circulating online about the elections. .
For one of Juncker's top policy advisers, disinformation is really not a "laughing matter". "Fake news needs to be taken seriously," she warned.